White shoes after labour day; taboo or the hottest trend? especially as you shift your wardrobe from summer to fall. Whether worm with a boho dress, sleek power suit or jeans, a pair of white boots has the power to make any outfit instantly pop. Whether worn with a boho dress, sleek power suit, or jeans, a pair of white boots has the powder to make any outfit instantly pop. Invest in a pair of ankle-length boots and wear bare legs and midi skirts for the perfect transitional summer to fall look. Once resigned to "comfort shoe" status, the sensible two inch heel height is back chicer and sexier then ever! Pair your pointy toe Kitten Heel bootie with top - to - toe denim, while including cream hues elsewhere in your outfit for an elegant touch. These glossy Aquazzura style booties pair perfectly with a loose-fitted or straight-leg jean. A geometric heel adds a flash of glamour to a minimalist pointy-toe bootie. flirty ruched topline of the bootie. Team white heeled boots with a white on white scheme. Pair with white trousers and a white turtle neck for an effortless, minimal look. Finish by adding a white teddy coat. As we say goodbye to New York Fashion Week for another year, the makeup trends we saw on the runway for fall were amazing. The trend is minimal, but just enough to make a statement. Here are a few looks we absolutely love for this season! We adore this look from the Brandon Maxwell show! Keep the look low-key with just a pop of red for the lips. Try our AW03 Liquid to Matte lipstick in Ruby, as well as the Duo Action Highlighting Pencil to enhance the cupids bow on your upper lip. Finish the look with lashes of our Volumizing Black Mascara. Effortlessly chic! Add a touch of sunshine to your look with a pop of yellow on your eyelids. With this look from the Noon by Noor show, leaves skin au naturel with a vibrant yellow shadow swiped across the eyes imperfectly. When creating this look groom your natural brows, apply our Eye Primer, then use the AW03 Metallic Gold Addict Shadow and swipe across the eyelids. Finish with a slick of our Platinum Lip Glaze in Blush giving you a natural lip, with shine and hydration! AW03 Brightening Day Moisturizer and Pressed Powder Illuminator. Keep those cheek bones in check with sharp contouring and just a touch of colour using our AW03 Sunkissed Frost Blush. Finally add a very light pink gloss to give this look a touch of pizzaz with the AW03 Platinum Lip Glaze Girl Crush. This is the perfect evening look with minimal effort! Cushnie Et Ochs brought the berry lips to life. In order to create this beautiful look apply our AW03 Liquid Eyeshadow in Eclipse as a wash over your eyelid and then Volumizing Black Mascara to give lashes flair. For the final touch you will use our Liquid Lipstick in Uncorked to get that perfect berry red tone. October 22nd sees the return of our Advanced Makeup Diploma course. Advanced makeup is a diploma program for those who have taken the basic makeup diploma program or are an established makeup artist wishing to enhance their skills, push their limits and get creative! If you are looking to expand your creativity, then our Advanced Makeup program is exactly what you need to diversify your portfolio. You will have the opportunity to learn everything from theatrical stage makeup, statues and 3D techniques! Accessory Design, Visual Art, Film, Photography and Makeup! Guests will have the unique chance to meet the artists, all while sipping on a glass of wine and watching live entertainment on the main stage. We are so excited that our very own instructor Scarlett is going to be one of the featured makeup artists! Scarlett will be doing makeup LIVE on models throughout the night. Join Scarlett and other local artists on Thursday October 18! Although we are sad to see summer ending fall is in the air, which means fall fashion! There is something so exciting about new collections, fall boots and fabulous jackets. We consulted our fashion team to find out what to look forward to! Here are some of the new upcoming trends. When thinking about trends no need to go crazy, just add a piece or two to give your look a fall 2018 update! The menswear inspired blazer is a must! Amazing to dress up paired with a long skirt, sweater dress or even over the shoulders for the evening. Try dressing it down with a logo t-shirt, jeans and little booties. Rock it with your favourite jeans and blazer or pair with cool sweat pants and high heel pumps. There are so many things we adore about this one....the colour, the detail and the quilted leather effect you will see everywhere this season. Toes are pointy, boots are sleek yet relaxed at the same time. If there is one type of footwear to add this fall the bootie is it! Perfect with jeans, longer skirts or fitted dresses. You name it, it works. Animal prints are huge and an absolute must have. This one piece is a statement that updates everything you wear. White is such a fresh take on footwear this fall. Try these with a simple pencil skirt, patent leather pants or sassy sweats. Pumps with a difference. Large and bold is where it's at. Hoops are classic, timeless and work with everything. This is a great piece for the season. Wear with slouchy boots, a longer blazer, tuck in a t-shirt or dress up with a crisp white shirt and sky high pumps. The jeans of the season. High waisted is happening and so flattering. Pair with pumps and a logo t-shirt, sneakers and a fitted sweater or booties and a fab coat. Some great ideas to kickstart your fall wardrobe! Add a piece or two to rework your closet and pair pieces differently to add a new life for the season! A warm welcome to our new makeup trainees! We can’t wait for the talent of each group and each student to unfold, it’s always exciting for us towatch these students become the best! AW03 Maquillage will be closed August 6 for the Heritage Day Holiday. We will reopen for regular business August 7! These are Tara's go to must haves that she never leave home without! Tara has a full life of work, kids, working out and enjoying life. She applies first thing in the morning and never needs to touch up. Live your life while you look and feel amazing! Brow balm - Tara designed this to not be too pigmented. When she is applying, Tara gets the perfect coverage without looking fake. Flawless lipstick from our new 'Platinum Collection' - Seriously she is obsessed! This is her go to 'Orchid' It's a beautiful soft lavender that just works! Artists Within will be closed July 2nd for the observed Canada Day holiday. We will reopen for regular business hours July 3rd at 9:00am. We will you all a safe and fun long weekend! Have you wondered what the latest trends are in Hair, Makeup and Fashion? Well wait no longer join us every week for Trend Tuesdays! but is making a BOLD spring comeback! I am talking about the Cleopatra Eyes! The Egyptian queen still reigns supreme over eye liner. All over the runway and instagram you see this trend popping up from Marc Jacobs and Roberto Cavalli to Tom Ford and Versus Versace!! Stay tuned and join us for Thursday Tips! See how we create the hottest bold Cleopatra Eye using the AW03 m a q u i l l a g e Gel Eyeliner in Noir!!! We hope you have the best Monday ever! containing all you need for the perfect brows. Brows are the most important part of your face, highlighting and framing everything! Step one - Follow the diagram below and map out where your brow should start, arch and end. Use the brow brush and measure from the side of the nose straight up to find the starting point, then from the outer side of the iris straight up to find the highest point of the arch and finally from the corner of the nose again out toward the outer edge of the eye to find where the brow should end. Step two - Using the brow brush apply a small amount of brow balm to the upper brow line feathering the desired outline shape. Keep in mind the shape you have just mapped out. Once you have your outline shape use feathery strokes again to fill in any areas that are sparse or need shaping. Repeat this process along the underside of the brow if you like more definition. Step three - Once you are happy with your shape use the brow gel to set brushing upward and out. Step four - Use the matte end of the highlighter brow duo to define the underside of the front of the brow and the sheeny side to define under the brow arch. Step five - Admire how beautifully defined your eyes are looking with the perfect brows you just created! Waking up this morning to rain, may have been a bummer. However waking up to the first day of June, gives you all the Summer feels! The 70th anniversary of the Met Gala was held last night in beautiful New York. The Costume Institute Gala at New Yorks Metropolitan Museum of Art is the biggest event on the Fashion fundraiser calendar. Founded by publicist Eleanor Lambert, the benefit was first held in 1948 to encourage donations from New Yorks high society. Now a days, the most famous faces from fashion, film, music and art come together each first Monday in May to raise money for the Met's Costume Institute and celebrate the opening of it's latest exhibition. 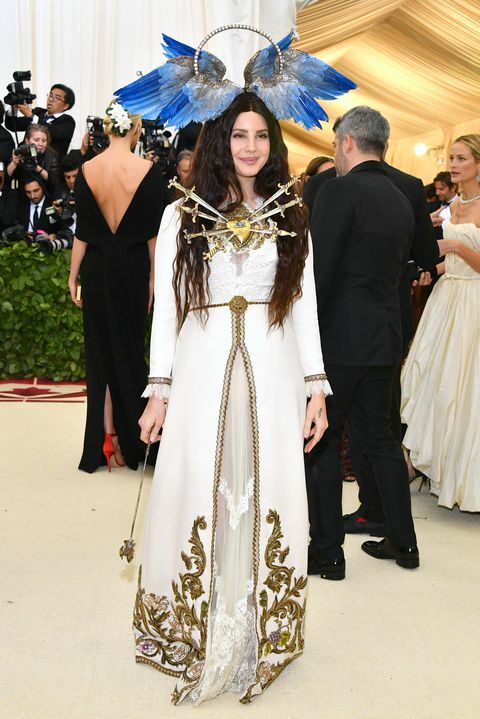 This year's theme is the Mets most controversial one yet, the theme is Heavenly Bodies: Fashion and the Catholic Imagination. Anna Wintour announced named her co-hosts fort he evening, who are none other then Amal Clooney, Rihanna and Donatella Versace. Unfortunately as every year there were only a select few that followed the theme. This is the Fashion event of the year and when you have Fashion and Art mixed together the guests should take risks, rather then stay safe. A few styles made my jaw drop, but mostly styles were safe and boring. The carpet was filled with gowns that were gold, silver and white. I think the biggest question of the night however was, where is Lady Gaga and the Beyonce?!?! The Gala was most definitely missing these two its was not the same with our them! 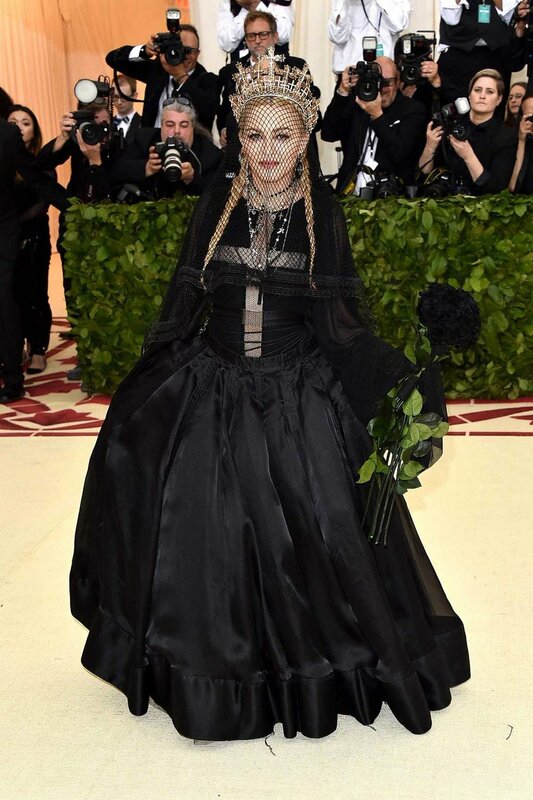 Here is the Artists Within's Top 6 picks for best and worst dressed of The Met Gala 2018. So excited for our part time students, they are rocking out the evening photoshoot tonight. I can not wait to show you their pastel creations! Stay tuned!!!! Join our amazing Lash instructor Alana as she teaches you the latest and greatest lash trends with our Lash Certificate program. We are now taking registration for Monday, May 7 from 9:30am till 4:30pm. Become the Lash tech all your friends will brag about! Happy Easter! From our family to yours. AW03 Maquillage will be closed Good Friday March 29 and Easter Monday April 2. We will reopen for regular business hours April 3 at 9:00am. Register for our Spring Makeup Diploma program! Life isn't perfect, but your Makeup can be! Register now for our upcoming Makeup Diploma program and kick start your career in the beauty industry!